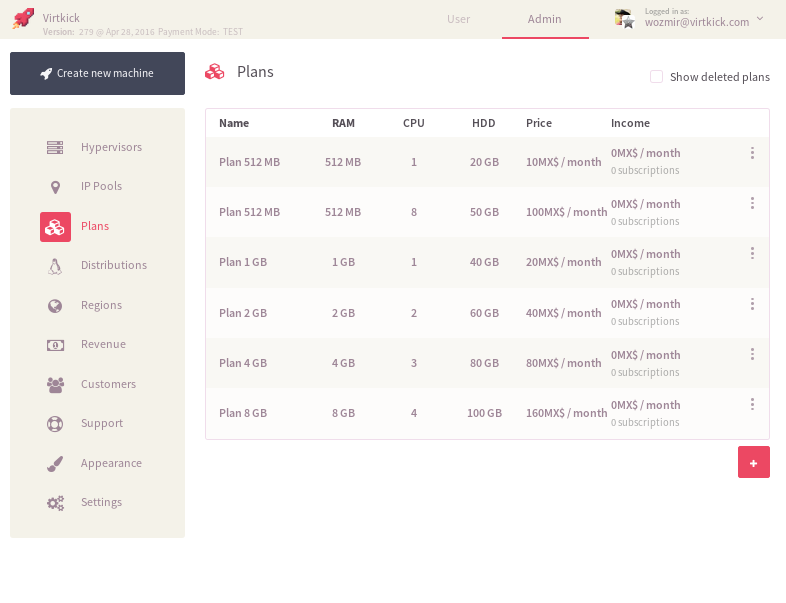 Virtkick is the best VPS control panel for hosting providers. 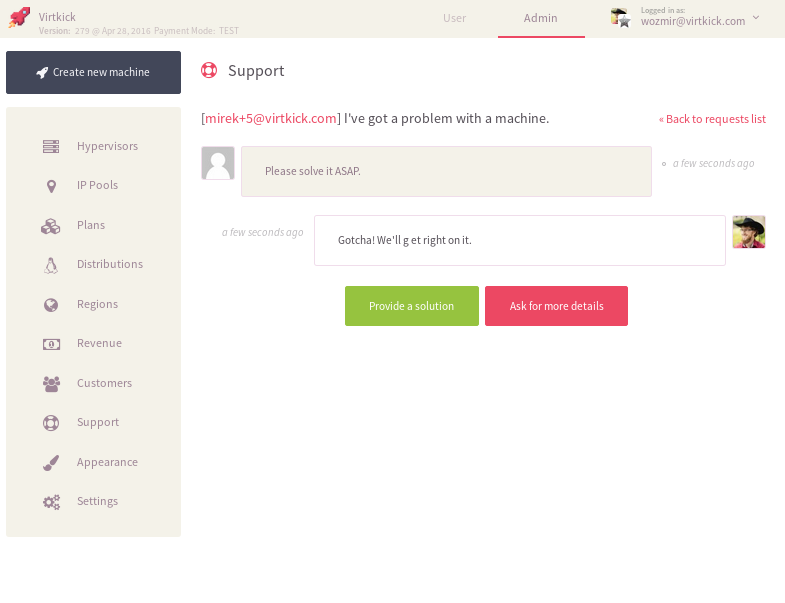 Maximize your sales with Virtkick's finely tuned user interface. Want to check out all the features? 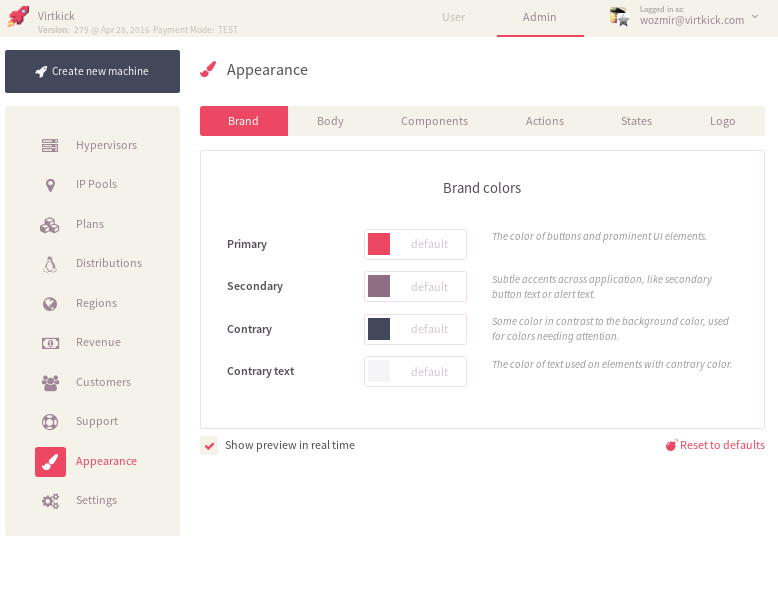 Virtkick has the features your customers want. You just take care of your clients and hardware. We deploy and maintain Virtkick for you. and logos to match your business. Sign up, connect your hypervisors and let your customers access Virtkick at panel.yourcompany.com. You own the relationship with your customers and focus on your business. Forget about software upgrades, we've got this. The money made through the panel goes directly to you. We only charge you for your Virtkick subscription. Simple as that.